Are you new to studio lighting and feeling overwhelmed with all of the choices on the market? And not sure exactly what you need? Don't worry I have been in your shoes and understand how confusing it can be. I often get asked what lighting I use so I put together this little shopping list for you in hopes that it calms your nerves just a little. I promise studio lighting is a lot less scarier than you think it is and you will be using studio light in no time. If you find this Blog Post helpful please feel free to share :) If you have any other questions please ask in the comments section and I would be happy to answer. First thing you are going to want to choose is a light. I like using a strobe, I feel like the lighting is consistent and easy to work with. What is a Strobe? Wikipedia definition : A strobe light or stroboscopic lamp, commonly called a strobe, is a device used to produce regular flashes of light. It is one of a number of devices that can be used as a stroboscope. Basically it is a light that Flashes. It is not a continuous light that stays on. It is a burst of light that freezes motion. Now A lot of people have asked me what that light is that they see when I post a pull back and the light you are seeing is a modeling light. The model light basically helps your camera focus and allows you to see where your light is falling on the subject. It does not interfere with your strobe and your model light should not be used as a main light source. I use one Alien Bee 400 from http://paulcbuff.com/ for newborn and family. People often ask why I do not use a 800. I find that the 800 is too strong for my liking and the 400 is perfect, I have never needed to use it at full power with a family session. The Einstein is a little more pricey and from what I have been told is a more consistent light. The reason I have not tried it yet is because I am happy with my AB 400. Don't fix what isn't broken right ?! ;) But in all honesty I have heard amazing things which is why I am adding it to the list. UPDATE: July 2017 I have now switched to an Einstein because I really wanted to be able to compare the two. I feel like it is a tad better but if you are on a budget the Alien Bee is just fine. I did not see a mind blowing difference when switching. 2. The second thing you will need is a diffuser . This is what goes over your strobe. The PLM was AMAZING but it broke :( Unfortunately Paul Buff's PLM's are on back order. 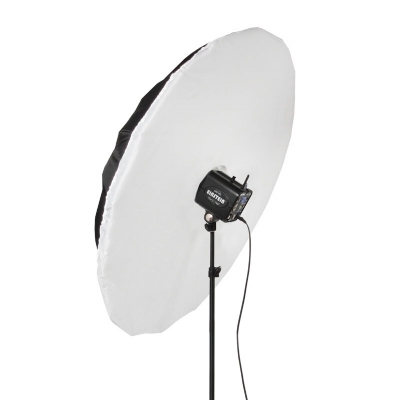 So I decided to try the Westcott 7' Parabolic Umbrella (White / Black) with the white Diffuser from https://www.bhphotovideo.com/. It worked just as well so either is a great option. Why so big you ask? The bigger the light the softer. If you have a smaller space you can always go for a smaller PLM. Now for a third option there is the 50X50 Westcott from https://www.bhphotovideo.com/ . This is smaller and wider than the other two and in my experience produces more shadow but is a great diffuser. 3. The third thing you are going to need is a trigger and transmitter. What are Triggers? They are what triggers your light to fire without being connected to a cord so you are wireless. One is for the top of your camera and one for the back of the strobe. The ones I use are from Amazon and are Yongnuo brand. Make sure you get one that is compatible with your camera. *note if you purchase the ones from Amazon you do not need the cord that comes with the triggers, you will need the sync cord that comes with your strobe. Another more expensive option is the CyberSync receiver and Trigger From http://paulcbuff.com/ . You choose from a battery powered or AC powered transmitter. 4. Lastly you are going to need a light stand. Any heavy duty light stand that you have will do but I love my Matthews Reverse Stand from https://www.bhphotovideo.com/ since it goes all the way to the floor. UPDATE: I have been getting a lot of questions on my reflector. 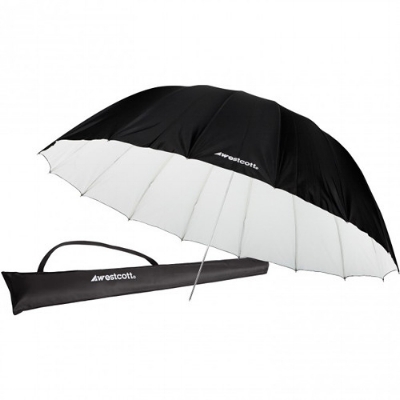 A reflector is completely optional and it just depends on the lighting you are going for. I hope this blog post was helpful and I hope you come to love studio lighting like I have. Please feel free to comment below with any questions you may have.